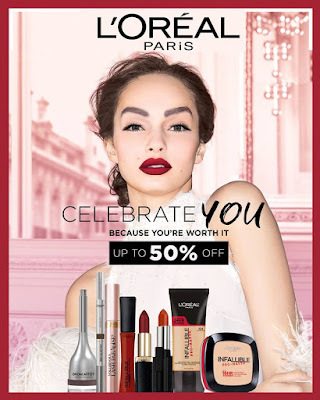 L’Oréal Paris, the global leader in cosmetics, welcomes the holiday season with special offers and discounts, up to 50% off, on your favorite products from November 15 to December 31, 2018. 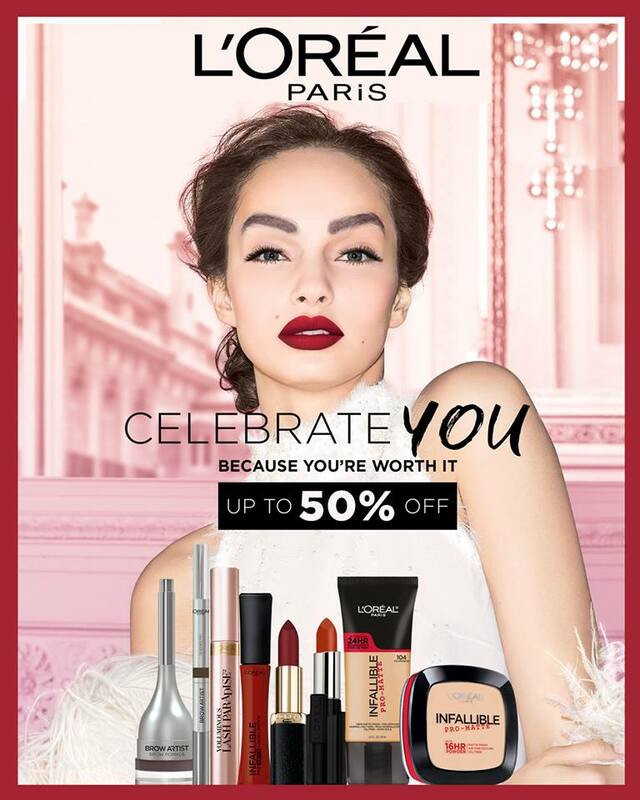 More than just discounts, the L’Oréal Paris holiday sale aims to celebrate every woman’s success and beauty by providing them with essential makeup items, ideal for gifting, at affordable price points because you’re worth it. As an added treat, special pink Christmas boxes will be given to customers with every purchase of L’Oréal Paris lipsticks or a black Christmas box for every purchase of two L’Oréal Paris Make-up items for hassle-free holiday shopping. While the season isn’t all about gifts, bestowing the right present upon those nearest and dearest to you comes with a certain kind of magic. To save time and make your gift shopping easier, we’ve listed down some of L’Oréal’s best-selling makeup products for the different women in your life. 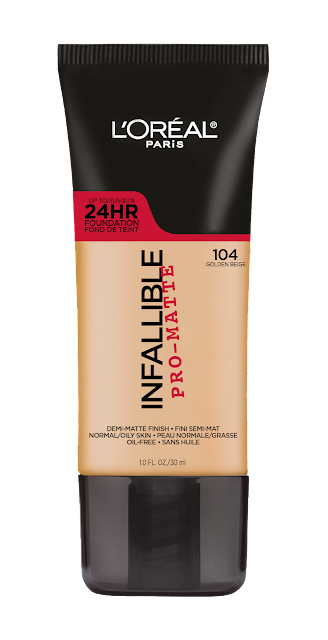 Available in ten shades, the air-light Infallible Pro-Matte Liquid Foundation allows you to achieve a matte finish that won’t fall flat. Lightweight and creamy, the best rated foundation goes on smooth with a powder-matte finish that lasts up to 24 hours without any touch-ups—hiding imperfections for a smooth, clear complexion. 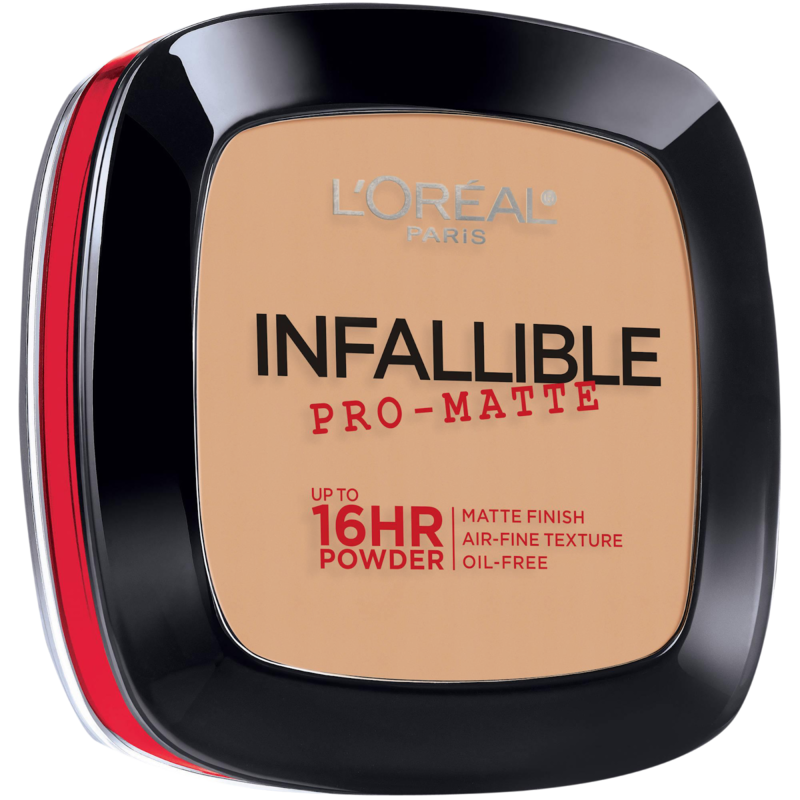 Available in six shades, the Infallible Pro-Matte Powder absorbs excess oil and reduces shine on the skin’s surface for up to 16 hours. The lightweight pressed powder can be used alone, to set foundation after application, and/or throughout the day for quick touch-ups. This product is available for only Php 499 (Php 399 on promo) at L’Oréal Paris makeup counters and on Lazada. Non-drying and worry-free, the Infallible Pro-Matte Liquid Lipstick offers full-coverage, 16HR long-wear liquid lipstick that feels light for all day comfort. 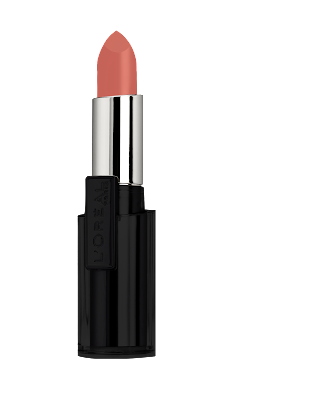 Its intense high pigment shades create comfortable, lasting matte color for an instantly polished look. Equipped with a triple matte gel topcoat, the Infallible Pro-Matte Liquid Lipstick is not only food-proof and crack-proof, but also provides long-wear and comfort. In just one glide, its pro-sculpt applicator lets you easily shape and reach even the contours of your lips for a perfect no mess application. Famed for its easy glide formula that gives women voluminous, feathery-soft lashes, Lash Paradise offers an impressible experience with every swipe. Ideal for lashes of all shapes and lengths, Lash Paradise won’t flake, clump, or smudge thanks to its 24HR long-wearing and waterproof features. Apart from its amazingly innovative formula, Lash Paradise also comes with a new brush applicator. Highlighted by an ultra-soft wavy brush that comes with 200 bristles, this magic wand is designed to hold maximum formula for a stunning va-va-voom effect to catch every lash. Available in a spectrum of gorgeous shades from deep hues to perfect nudes, the Color Riche Mattes by L’Oréal Paris offers extremely rich color with intense moisture. Its rich, creamy texture is applied with the smoothest glide, giving you indulgent luxury in one swipe. Made with Jojoba oil, which paves the way for a luscious glide and comfortable wear, light scattering gel, which gives a pleasant, lightweight feel, and spherical powders, which fill and conceal lip lines for color that will last up to six hours, the Color Riche Mattes embodies everyday elegance as seen through its premium black leather packaging. Designed for soft and natural looking brows, this 3-in-1 tool helps you get professionally-done brows in three easy steps. The pencil liner is used to give your brows a defined arch and shape, the powder helps to fill-in and color, while the spoolie helps to style and add texture. The Brow Artist Pomade is L’Oréal’s first buildable pomade designed to shape, fill, and hold your brows. Made with cream to powder matte technology, the Brow Artist Pomade is designed to glide on smoothly for perfect-looking arches. 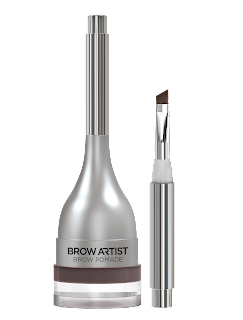 Suitable for all types of brows, the pomade comes with a built-in slanted brush that allows for precise application and makes shaping and filling a breeze. The 16HR longwear and waterproof formula is also smudge-proof and fade-proof, ensuring that your brows stay on point all day long. Show some love for the amazing women in your life this holiday season with the perfect gifts from L’Oréal Paris, available at L’Oreal Paris makeup counters (SM, Watsons, other leading department stores) and official online retailers (Lazada) nationwide. For more updates, customers may visit L’Oreal Paris Philippines’ website at www.lorealparis.com.ph and social media accounts, Facebook (facebook.com/LOrealParisPhilippines) and Youtube (youtube.com/user/LOrealParisPH).